The Stockyards Trinity River Ride is a 45 minute train excursion that departs from the Fort Worth Stockyards. The excursion crosses both channels of the Trinity River, travels through Trinity Park and briefly stops in the historic rail yard at 8th Avenue before returning to the Fort Worth Stockyards. 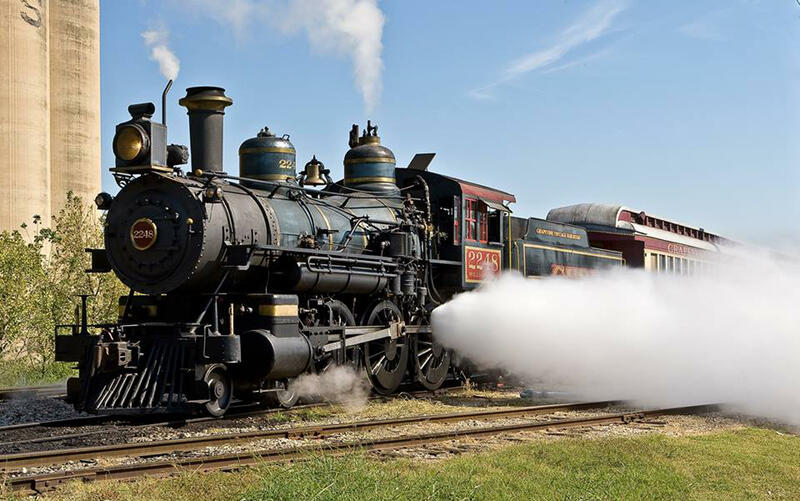 PLEASE NOTE: Due to excessive freight train traffic along the Cotton Belt Route, the Grapevine Vintage Railroad’s Trinity River Train Excursion originating in the Fort Worth Stockyards will operate on a day-to-day basis. 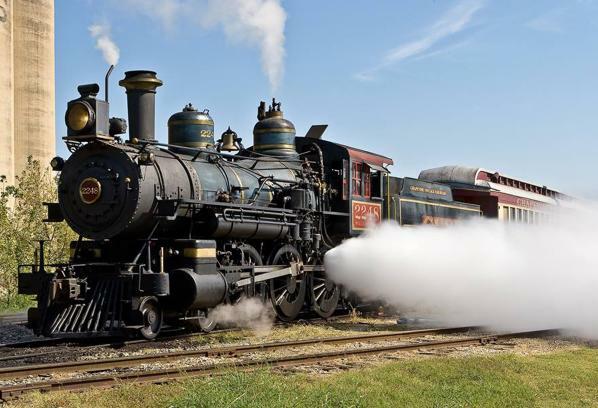 These excursions will take place dependent upon the arrival time of the Cotton Belt Route train to Fort Worth and tickets will be sold on a walk-up basis only. Announcement of the Trinity River Excursion will take place on the Grapevine Vintage Railroad Facebook page (@GVTrain) by 11 a.m. on Saturday or Sunday. Tickets will be available at 1pm, in the Stockyards, on a walk-up basis only. Unfortunately, the excursion is subject to cancelation or delays due to unforeseen freight train traffic and without advance notification. We apologize for any inconvenience. Arrives: Fort Worth Stockyards 3:45 p.m.
*Please note the change in our schedule on March 23. We will depart at 1:00 p.m. Passengers 13 months and older must purchase a ticket. Tickets are non-refundable.